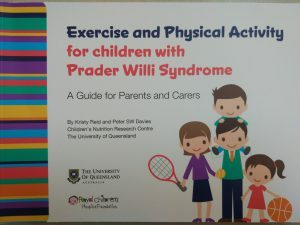 Raising a child with PWS requires families to learn a whole new language to enable them to access supports through the New Zealand health and education systems, and to understand the interventions they will need to put in place to ensure their child has a healthy, happy life. What treatments should my child be receiving? What support is out there for our family? This section focuses on providing simple answers to common questions. If you would like more detailed information, please contact us – we are available to talk or provide detailed information packs specific to your concerns. See our new diagnosis pages for new parent resources and an early years timeline summarising which specialists you may see and when. Growth hormone: Early growth hormone treatment will greatly benefit your child. In New Zealand, growth hormone therapy is funded from six months of age, but a sleep study is required before treatment can begin. As soon as possible, ask your paediatrician to put in a referral for a sleep study for your child. While a simple pulse oximetry study will usually be enough for the growth hormone treatment application, a full sleep study will give more information about sleep apnoea. There will usually be a waiting list of at least 2 months for a polysomnography. Feeding / speech and language therapy: Your child should be referred to a speech therapist at the hospital for feeding issues. Reflux and aspiration are common in infants, so swallow function should be evaluated. The therapist will be able to advise on holding techniques for reflux, supporting oral-motor development, methods for keeping your baby alert and alternative feeding systems, such as the Haberman feeder and NUK teats. They can also assist with introducing solid foods at 6 months before your child is discharged from this service. You can ask your paediatrician for a referral to a Ministry of Education speech therapist/ early intervention teacher at this point. Speech and language abilities vary, but oral-motor and articulation difficulties are very common. These may be due to oral structure and saliva abnormalities, hypotonia, motor deficits or poor phonological skills. 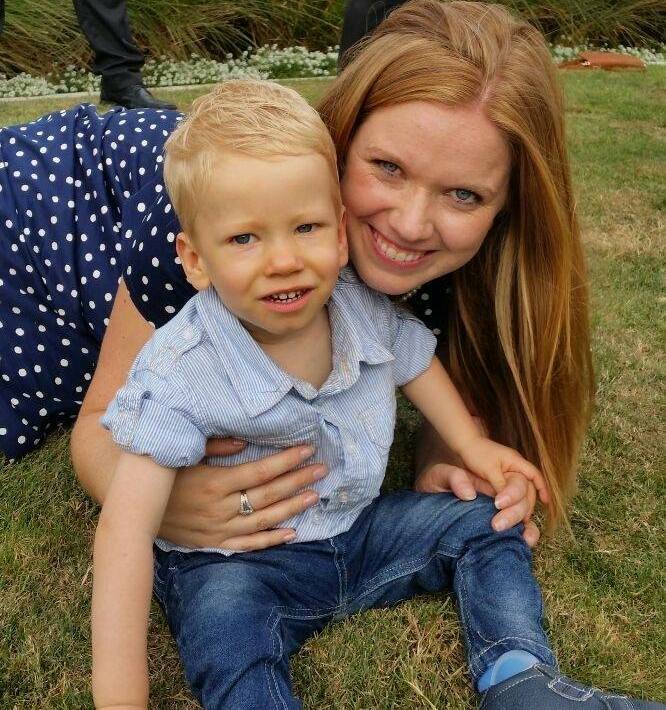 Most children with PWS will have some speech delay, so you should be able to get a referral based on the PWS diagnosis to help with language development. Some families use early years sign language (makaton) to bridge the gap until oral language skills develop. Ask if the Hanen course is offered in your region as this is a great speech and language development course for parents. Some children with PWS have childhood apraxia of speech. This is a motor planning issue and does not seem to be well understood by therapists in New Zealand. PROMPT therapy has been shown to be beneficial. Contact the Association for more information on therapists we can recommend. Physical therapy: Your child should be referred to the Child Development Team at your local hospital as soon as they are diagnosed. A physiotherapist will work on building gross motor skills and strength, and will often recommend orthotic supports for joint hypermobility. Most children receive physiotherapy in their own home by a visiting therapist, weekly or two weekly, and some regions offer centre based therapy. The appointments will be more spread out once your child is walking. Regularly awakening your child for interaction, stimulation and exercise can help make up for the motor and cognitive delays they may be experiencing. Occupational therapy: In some regions this is done by the physical therapist, in others it’s a separate appointment with an OT. Generally, OT’s work on behavioural and sensory issues, plus fine motor skills. Sensory and vestibular input via sensory integration therapy can be helpful for developing balance and motor planning ability. Sometimes you will not get a referral if your child does not have behavioural/sensory issues and often there is a waiting list for OT services. Your paediatrician can make the referral. Developmental paediatrician: Some regions have a developmental paediatrician available as part of your child’s team. This person is not a regular paediatrician, but is more experienced at diagnosing behavioural and sensory issues and autism. Contact the Association if you would like more information for your region. Often at this age, a general paediatrician is sufficient. Orthopaedics: Your child should be assessed by your paediatrician for orthopaedic concerns such as hip dysplasia and scoliosis (curvature of the spine). In the USA, children are screened for scoliosis with yearly x-rays. This is not routinely offered in New Zealand, but your paediatrican will make the referral for an x-ray if you ask. Many families are opting for x-rays every two years if there are no concerns. The most common ages for scoliosis to occur is in the under 2’s and during the teenage years, but it can occur at any time. Due to feeding difficulties and sleepiness, your child may struggle to gain weight initially – this is known as ‘failure to thrive’. Infants with PWS often do not ‘ask’ for feeds, so a paediatrician or dietitian will help calculate the intake your child needs for adequate growth. As your child grows, a dietitian should continue to review what you are currently feeding and be able to tell you your child’s existing calorie intake and what to aim for based on your child’s weight and activity level. They should also be able to give you a breakdown of macronutrients (carbs, protein, fat) in your child’s diet so you can work towards the recommended levels. Suggest your dietitian joins the PWS Association by sending them a membership link. That way we can send them resources on dietary management and ensure they are up to date with the information they are providing you. There are huge variations regionally with dietitian support. You should be able to access dietitian support at least six monthly, even if your child has no issues with their weight. Contact us if you are having trouble accessing dietitian services. Below are some tips for dietary management in the early years. Please see our Dietary Management section for more detailed information. Choose a sugar-free, lower carbohydrate diet for your child. Children under 2 sometimes struggle to gain weight. In this situation, it’s important to choose healthy, high calorie foods, such as salmon or avocado. Do not increase calories by using foods which will need to be removed from their diet later on, such as sugary sauces or dressings. Your child needs a nutritionally balanced diet. It’s important that healthy fats (essential fatty acids), which are good for brain development, are not omitted from their diet. Some parents use dietary supplementation. Encourage drinking water from a young age. Your child may be reluctant because thirst awareness is often impaired in PWS. Avoid using sweet drinks, which includes diet drinks, because all sweet foods should be avoided. Calorific restriction is not required until around age 2 when weight typically starts to increase despite having an age appropriate diet. Start as you mean to go on. Set up rules and routines around food, such as only eating at the table, set meal times, and decide as a family how you will manage out of the ordinary events such as birthday parties. Consistency is key. Develop a small set of meals and snacks on rotation and become familiar with what the correct portion size looks like for your child. Use the same plates or weigh if needed. Weighing your child six monthly is good practice, more often if your child is overweight. This can be done by the paediatrician, dietitian or GP. Regularly review how things are going – it’s easier to make small changes earlier on than larger ones later! Make movement a part of your child’s life. In the early years you may be doing most of the movement for them, but instilling a love of movement can lead to a love of physical activity and exercise in later life. At this age your child may have low muscle tone and sleep a lot. Make the most of the time they are awake! Your child will probably enjoy toddler music and movement sessions, riding for the disabled (RDA), hydrotherapy and swimming. Encourage your child to walk as much as possible. Click to download this useful book. Children with PWS are extremely stress sensitive and live with high levels of anxiety which can lead to obsessive or compulsive thoughts and behaviours, rigidity, stubbornness, argumentativeness and temper outbursts. The usual recommendation is to stick to predictable routines to keep anxiety low. However, research has shown that it is beneficial to expose your child to some unplanned events and changes to their routine to build resilience. Children who are very rigid in their younger years tend to be even more inflexible as they get older. Building in some unexpected changes to your child’s schedule can help them develop skills to cope with change. Be guided by your child’s ability to cope, and your own resources to support them. The specialist advice service, Explore, offers one to one behaviour support to families for help with specific issues. Contact your local NASC for a referral. Early years parenting programmes are well worth doing and you should be able to get a referral from your paediatrician or early intervention teacher. Triple P programmes, such as ‘Stepping Stones’ for families who have a young child with an intellectual disability, may be available through Explore or other providers. The Incredible Years programme is offered by the Ministry of Education and other providers. Your paediatrician can make a referral to an early intervention teacher (EIT) from the Ministry of Education. Often this is not offered – you may need to ask. They will make home visits or visits to your child’s daycare or kindy to help with your child’s learning and development. This differs regionally, but some families have had this support from 18 months. The visits are usually fortnightly initially and then drop to 3 or 4 times per term. The early intervention teacher will manage the application for an ESW (Education Support Worker) for your child, coordinate your child’s IEP (Individual Education Plan), and will work with the early childhood teachers as needed. The amount of ESW time your child will qualify for will depend on your child’s needs and varies from region to region. Usually it will not be more than a couple of hours per day. If you’re not happy with the amount of hours you have been allocated, you may appeal. Contact the Association if you need support with this. In some areas you have a choice of early intervention service provider as other providers are contracted by the Ministry of Education to provide services. These include CCS Disability Action, the early intervention trusts and Conductive Education. If you are already receiving these services, you can choose to switch to the Ministry of Education service or continue with your provider. Your child does not have to start school until age 6 and can remain in ECE if you feel they are not ready at age 5. The early intervention teacher will also help with transition to school and ensure an application for learning support funding is submitted well in advance of your child’s start date. The fund usually applied for is the ORS fund, and as above, if an application is unsuccessful, you may appeal or apply again. Contact us if you need support. Download or order to forward to your early childhood educators. The early years can be a difficult time for families as they adjust to their child’s diagnosis and start to build a team around them for support. It is important your wider whanau are on board with the choices you are making with diet and behaviour management for your child. Please refer whanau to our Grandparents, Family and Friends page. The PWS Association provides opportunities for families to meet others via our young families weekends, family camps and regional events. We can also put families in direct contact with others who have a child around the same age or have similar experiences. Furthermore, we host a private Facebook group where families can post questions and support each other. All children with PWS qualify for the child disability allowance, and most families also receive carer support hours. Usually, this is money paid to an informal carer of your choice so you can take a break. Your paediatrician should refer you to your local NASC (Needs Assessment and Service Coordination) who will carry out an assessment to see if you qualify. You may find the Guide for Carers a helpful resource, plus the Care Matters workshops and website. For an extensive list of disability and carer support services, please view our NZ Links and Resources page. 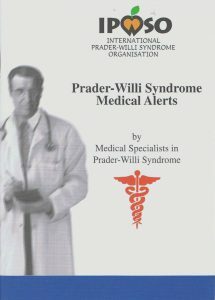 Order free copies of the Medical Alerts booklet and keep a copy in your bag and the glove box of your car. This will ensure you have the right information for emergency room and hospital doctors should you need it. 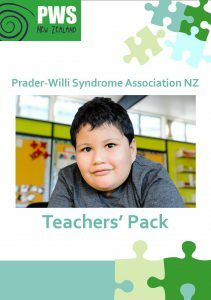 Do you have a copy of our New Parent Pack? It includes the medical alerts booklets, along with some general information leaflets for friends and family, plus information on health, diet, growth hormone and support. Just complete a brief membership form to get your free pack and free family membership.